When Lake City Bank is promoting loan options, it's primary target market is the Indiana area. The logic is simple: That's where the bank's offices are. 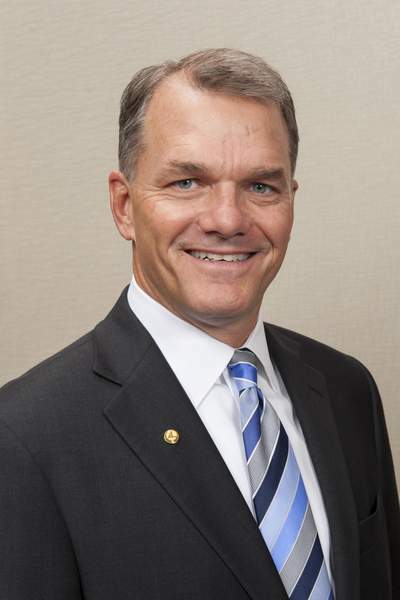 “What defines a community bank is community,” said David M. Findlay, president and CEO for Lake City Bank, whose holding company is based in Warsaw, northwest of Fort Wayne. That's why Findlay isn't shaken by new academic research that says more than a quarter of the “peer-to-peer” dollars lent over the internet today would have traditionally been handled by small commercial banks before the advent of online lenders. The figures come from a paper presented at Federal Reserve Bank of New York's fintech conference in March, which found 27% of peer-to-peer lending dollars had displaced traditional bank lending. Many smaller banks have evolved and offer, as does Lake City, some online loan processing. It's a great tool for those who prefer to use the technology, rather than focus on the connection that might be made in person, Findlay said Thursday. Executives with several other Fort Wayne-area banks did not return phone calls. Peer-to-peer lenders, sometimes referred to as “P2P” or “social lending,” match people who want a steady income through lending to those who want to borrow online. They have sprung up as the internet has matured, with some companies now lending for more than a decade. San Francisco-based Lending Club, for example, said it provided $10.9 billion in loans last year, and its loan applications were up 35% over the year before. The loss of lending volume to fintechs may be driving smaller banks – those with assets under $300 million – to make riskier loans more prone to delinquency and default, according to the research, which was conducted by finance professors with the University of Buffalo, Pennsylvania State University and Saginaw Valley State University. “Lenders may lower credit standards to maintain loan volume,” the authors wrote in their nearly 70-page study. Findlay disagrees. He doesn't think community banks have taken undue credit risks and that the study overstates the impact of fintechs in the competitive lending field. Christopher Cole, an executive with the Independent Community Bankers of America, said local bankers have a superior knowledge of local economic and market conditions. Cole said that makes them better able to serve the type of complex business and agricultural loans in which rural banks specialize.